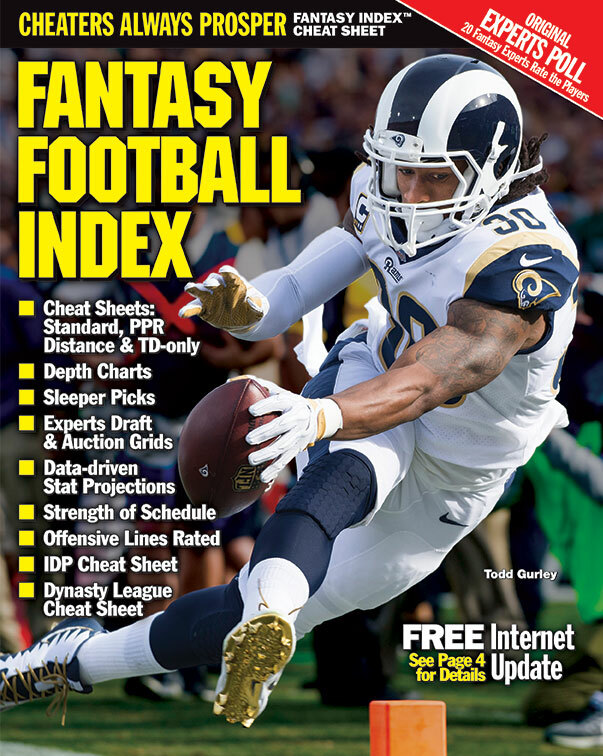 There's no real fantasy football "news" out there. Just noise. Enjoy the game instead. Checking my favorite fantasy news links is so second nature during the season, sometimes I'm there before I even realize what I'm doing. I just log in, and somehow muscle memory takes me there. Even when the regular season is over, I sometimes find myself looking for news that isn't really there anymore. I wean myself out of the habit (slowly) and then the links stay dormant for a few months. Hopefully I'm not the only person who does that. But if you're still tempted to keep up with fantasy happenings after the season ends, I can help pinpoint a great time to stop doing it: Right now. At this stage of the 2019 season (which is no stage at all), it doesn't matter where Antonio Brown might be headed. Le'Veon Bell, either. Or Kareem Hunt, for that matter; we don't even know the length of his suspension. Unless those guys are retiring, it's not really news. Just weird speculation, with occasional insight from Terrell Owens. Maybe the NFL's promotion department is fully automated, and bots just spit out news and information at regular intervals for no reason. But there's a pretty important game going on this weekend. Maybe we should focus on it for a little while. I know that the league doesn't control every news outlet, but they also seem pretty eager to draw attention away from the actual game. Why else would they have the Hall of Fame committee meet the day before the Super Bowl in the host city? I also know that the week leading up to the Super Bowl has become a celebration of all things football, and I don't want to ruin anyone's enjoyment of the festivities. Just know that there is absolutely zero fantasy value in speculating about teams or players in January. Teams still have to designate franchise players, evaluate upcoming rookies at the scouting combine, make offers to restricted free agents, get under the new salary cap, start free agency and begin offseason workouts. And all that happens before the draft at the end of April. In other words, the landscape for all 32 teams will change so much in the next few months, there's no point in evaluating anything. Maybe it sounds like fun, but I think it's mostly that muscle memory thing. We're used to seeing things through a fantasy lens, so it's hard to just stop when the season's over. But I think that's exactly what you should do. I'm not even getting into the Pro Bowl, though I'm glad to see everyone saying what we've for years. Complaining about the Pro Bowl is would be overkill at this point. I know many of you feel the same way about a paid athlete vacation masquerading as a football game. I'm still happy to see and hear the criticism, though. The event was an hour from my house and I never considered going. Didn't watch one second of it, either. Wait, I said I wasn't getting into it. Sorry. I guess it really is easy to get distracted after all. Two weeks is a lot of time to talk about one game, after all. There are going to be other football-related topics. Saints fans are filing lawsuits, so there's always something to keep people occupied. I just think anything involving the 2019 fantasy season is a waste of time. Ignore those articles and discussions. This week should (mostly) be about whether the Rams are going to come up big in the biggest game of the year, or if the Patriots will add another paragraph in their future wing in Canton. Because win or lose, this historic run by New England will get its own section in the Hall of Fame someday. The only thing standing between another ring for Bill and Tom is a coach who's half Belichick's age and a quarterback who was five years old when Brady was drafted. Youth vs experience. It could be an excellent game. And that's more important than where Nick Foles will end up and how that move affects that team's receivers. I mean, I want to know; I just don't want to know now. Enjoy the game! Do you focus on the Super Bowl itself, or are you still thinking and talking fantasy? What are the most compelling stories this week? How much do you hate the Pro Bowl? Share your thoughts below.